In this tutorial you will learn how to create a stamp text effect in Adobe Photoshop using some simple techniques. We'll make a dotted brush and using that brush we'll create the postage stamp effect. You can use this method not only for text but for vector shapes also. If you want to save time you can try our Photoshop stamp creator that comes with a vector rubber stamp included. In this tutorial you will learn how to create a postage stamp text in Photoshop. Instead of text you can of course use any vector shape you want. I will choose for the background a cardboard texture but you can use other type of background. Let's start by writing a text. You can choose any font you like. You have to decide now if you create the effect for each letter at a time or if you make the effect for the entire text. If you choose the first version you will have to put the letters in separate layers and create the stamp effect multiple times. If you want to make the effect one time you will have to set the tracking for the text to 100 or 200. Make each letter a different color. Or you can choose an image that you like, place it over the Text layer and create a clipping mask. I will now convert text to shape; I will convert each letter into vector shape and use the Pen Tool to fill the gap from "P" and "D" letters. You can skip this part and use the Text Layer. I have also added a sunburst brush over the letters just to make it more interesting. Now I will add a Stroke of around 2px black. Convert the layer into a smart object and add again a Stroke of around 20px color white. Pick the Brush Tool and create a dotted line brush using the default Hard Round brush. Open the Brush Panel and set the Brush Spacing to 150%. The size of the brush is set according to your text size. Create work path using the Text Smart Object and using the Dotted Brush simply stroke path in the layer mask using color black, opacity 100%. Delete the work path and here you have the postage stamp text; you can add a Drop Shadow effect, add some text, etc. But the most important item that you have to add to a postage stamp is of course a rubber stamp brush. You can also try this rubber stamp creator if you want to make more interesting and customizable rubber stamps. To obtain a grunge old effect you can use one of these old paper textures with stains, paper wrinkles and distress look. So here is the final result for the Photoshop postage stamp text effect; If you want to create this effect out of any text, shape, raster with just 1-click you can try the stamp creator Photoshop action. You can get even more creative by using some retro photos for the stamp text effect as you can see in the image below. This Photoshop action pack will allow you to create stamps from any text, vector shape/graphics or raster image. It works perfect for any shape turning your design into a postage stamp. You can also add a realistic fully customizable rubber stamp. All the layer styles are intact. This is a unique Photoshop action to create gold foil rubber stamps from photos. 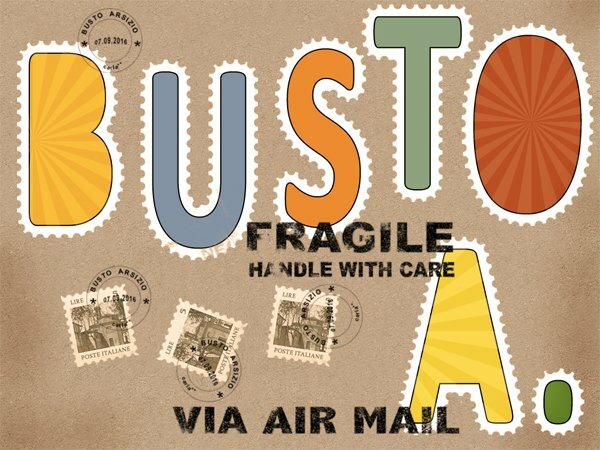 1 comment(s) for "Create a Postage Stamp Text in Photoshop"